The thoughts and ideas from this discussion are summarised below under relevant topic headings. Are you interested in collaborating on canopy flora research? please email nzepiphytenetwork@gmail.com with your ideas and potential contributions. Workshop great for this, able to meet up and share knowledge. 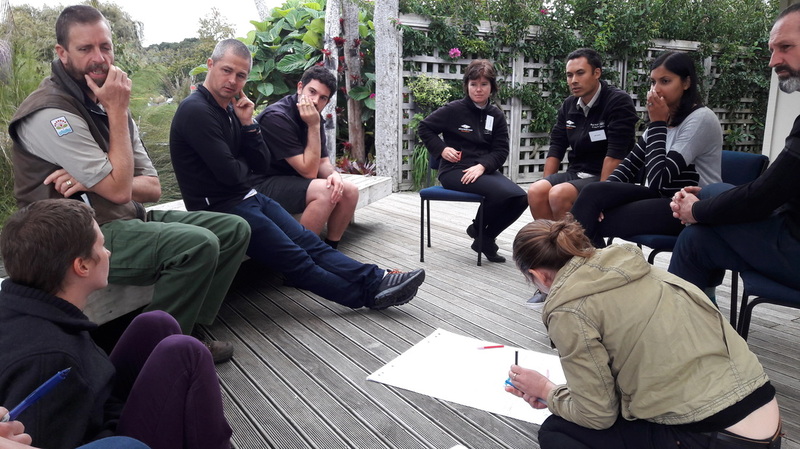 Need to connect with others too – researchers, councils, DOC, NZPCN, Ecological Society, Botanical Societies, students, international collaborator's etc. We are a subset of people interested in native plants as well as green technology e.g. green walls; we are under the “umbrella” of them and need to stay connected to share resources. 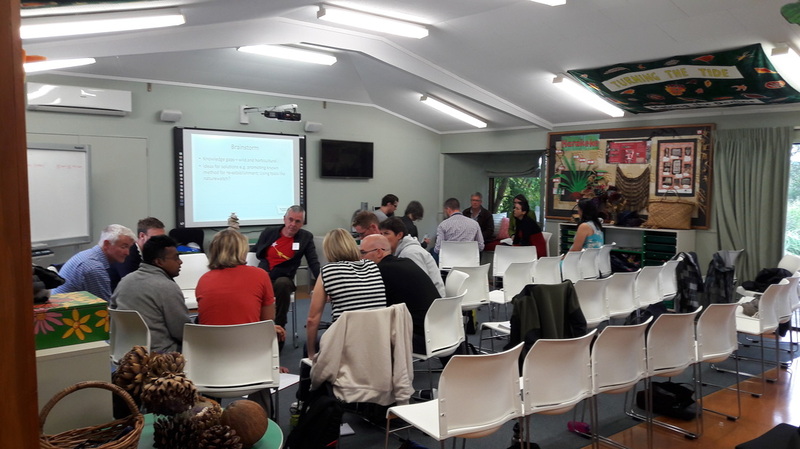 Part of a biodiversity forum. People think they are parasites (negative) – need better PR! Apps, keys “ID is key” how can we make it easy for people to access this info. Aerial labs – can you have a staircase in an existing tree? Are there research question databases we can contribute to, can we have that on the epiphyte website? Can drones be used for survey? Sample collection? How do you monitor epiphytes – are they captured in traditional ecological surveys and forest health monitoring tools? Collaboration between disciplines - documenting & trialling different species and how to manipulate ecosystems. If we know the natural system well it can be applied and tested in urban habitats such as green walls. Filmy fern and bryophyte propagation or recovery/restoration e.g. rocks at the bases of trees as substrate – can they move up tree? Transplantation (for those that can either grow in the ground or up a tree) from non epiphytic to epiphytic habitats – can it be done? Substrate development – can you do this offsite, can you “plant a branch” for an artificial structure and then have it ‘function’? What can we learn from overseas in terms of horticultural techniques? Wildlife corridors for epiphytes – do they work? Rainwater harvesting as part of structure; importance (or not) of stem flow of water. Because this will be some peoples’ only opportunity to experience canopy flora, it is important that the ecological integrity is an priority – as close as possible to real communities including representative richness, relevant information, take home messages and a fun experience! Thinking outside the box when it comes to where epiphytic species can grow and how we might work with them - this is Pyrrosia eleagnifolia in a stormwater grate in Thames. Photo: C. Kirby.